To make our mini pc small in size, we do a lot work, for our small size versions FMP06 and FMP11 there are one thing that buyer should learn before place order: if you do’nt buy VESA with the case we will ship the version that can install mSATA and 2.5 inch SATA 2 storage version, if you buy with VESA, the pc you get can only use mSATA SSD, not able to use 2.5 inch laptop storage. 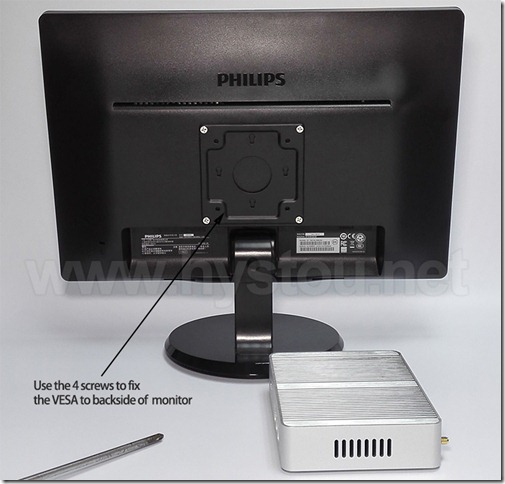 Because the case we design has only 4 screws, version one for 4 hardware screws that can fix 2.5 inch HDD, the other version has 4 screw holes specially for VESA only. 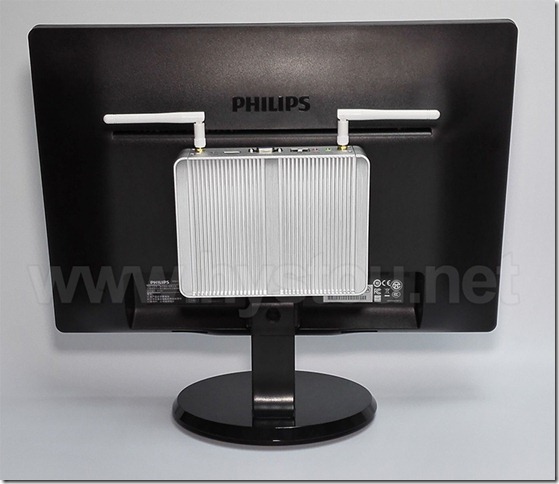 Now let’s show how to mount the mini pc onto backside of ur monitors.